The European Nintendo Download Update is live and it has plenty to offer this week. We have a retail title, some tempting downloads and demos on Switch, while classic Pokemon games and many more titles besides have discounts across the current-gen system, 3DS and Wii U. Let's get to it. 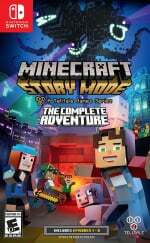 Minecraft: Story Mode - The Complete Adventure (Telltale Games, €44.99 / £39.99) - For those yet to catch up with this series on Wii U or any other platform, this could be a good way to experience Telltale's narrative approach to the hugely popular sandbox game. This collection includes the full first series (five episodes) and all the Adventure Pass content (another three episodes). forma.8 (MixedBag, €9.99 / £8.99) - A title that caught the eye in the later days of the Wii U, it arrives on the Switch eShop boasting of 1080p (docked) and 60fps performance, along with portable play. A stylish and interesting game in which you explore an alien planet, it is another high quality title for the store; we loved it in our forma.8 review. 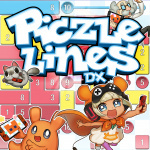 Piczle Lines DX (Rainy Frog, €14.99 / £13.99) - This puzzle game originally made a name for itself on smart devices and comes to the Switch with support for the touch screen as well as controller support. Rather like a blend of Picross, Sudoku and jigsaw puzzles, you draw lines to match colours and space requirements. It's rather addictive as we noted in our first impressions, and a full review will be with you very soon. 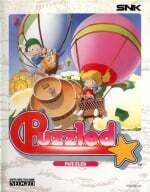 Puzzled (HAMSTER, €6.99 / £6.29) - Known as Joy Joy Kid in Japan, this is a bit like Tetris except you're clearing specific lines in order to free a trapped air balloon. Various quirks and enemies make life tougher, so this is perhaps more fun and interesting than it sounds; we'll let you know what we think of it in a review. 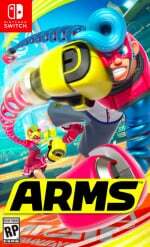 ARMS Global Testpunch (Nintendo, free) - The Testpunch is live right through to 9pm UK / 10pm CEST on 27th August. 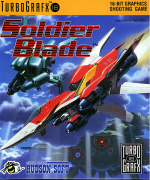 Soldier Blade (Konami, €5.99 / £5.39) - The run of TurboGrafx-16 games on the Wii U Virtual Console continues with this vertically scrolling shmup, a tough title in which you shoot all of the things. If you have a love of concise retro NL writing you can read our original Wii Virtual Console review. 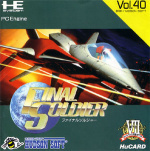 Final Soldier (Konami, €6.99 / £6.29) - This was actually part of the same series as Soldier Blade, above, but back in the day was only released in Japan. In this case you're shooting all of the things in a 23rd Century setting, and we rather liked it in our Wii Virtual Console review. Those are your new download options for this week - let us know what you'll be downloading in the poll and comments below. So is NoA just not reporting 3DS and Wii U stuff anymore or did we actually just not get anything? Pretty boring week. Next week can't come soon enough. What about Mario + Rabbids? Isn't that supposed to come out on the 29th? 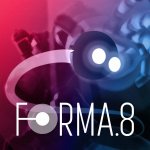 It's good to see Forma.8 get a permanent discount on Wii U. This reads like it makes no sense. It reads as if the you'll be charged 'more' in the UK for owning a prior game in the series. Think you may have got the prices mixed up. 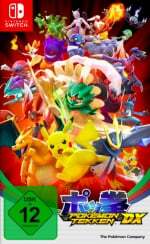 Will try the Pokken demo and may get Form8 for Switch. I really would like to get all the Soldier series on Wii U but if they ever release them in Switch I so would prefer to get them there. If anything because I would be able to use the Pokken controller. @Rebusmind It'll be in next weeks download list. EU and US cover different dates for their weeklys. I'll get some sega discounts and Red or Blue since I only got Yellow first time around. 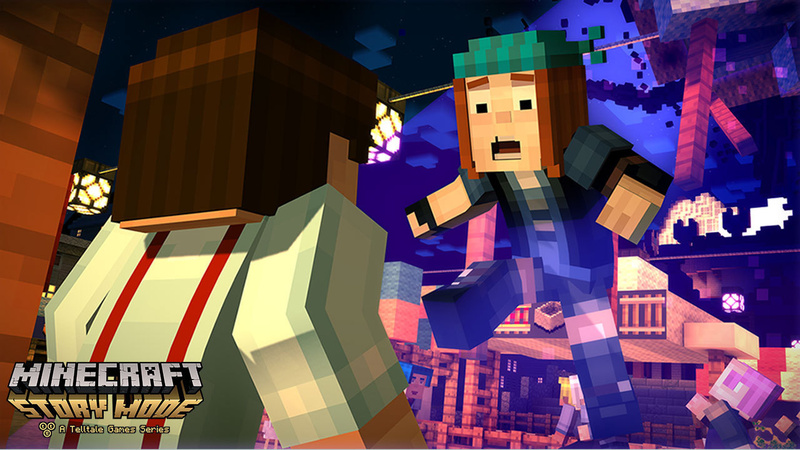 Minecraft Story Mode seems a tad expensive compared to PSN, it was even on sale for £5 not too long ago. Altered Beast, I remember loving that in the arcade... Just finished 3D Sonic the Hedgehog, M2 are great. @FX102A Will the Pokken controller work on anything other than Pokken? Will get Astro Duel Deluxe. Think my wife will like Piczle but I'll wait for a discount. The SEGA discounts are always worth looking at. Great versions of all these games. I'm actually excited by Soldier Blade on WiiU. I have it on Wii, but restore point abuse might mean I can play it to the end after all these years! I'm incredibly lucky! Tonight I randomly decided to re-purchase all the Jackbox games on Switch. I figured i'd only get Packs 2 & 3, given that there was no special 'triple pack' unlike Steam. However, after I purchased Pack 3 and went to check Pack 2, turned out the 20% thing had come into effect in time for me to benefit. I actually ended up getting Pack 1 because of that. Glad I didn't cave in earlier in the week. A shame Drawful 2 isn't released, but I guess the first Drawful is decent enough from Pack 1 anyway. I also grabbed that "Use Your Words" game, which looks similar enough in style and function to a few jackbox games, and the review on here seemed decent. I'll pick up some of SEGA's 3D games as well as try out ARMS. yet the tuesday straight after has mario + rabbids right? How come that's not listed...? Why the different reporting between US & Europe? The US list has Mario+Rabbids, the Euro one does not, even though they're out the same day? @Blister On the Wii U it only works on Pokken Tournament. On the Switch it seems to work on anything; though so far only tried Sonic Mania with it. @FX102A Wow, that's really interesting! And it has A D PAD! Been reading some reviews of Piczle Lines DX and increasingly tempted. Will get it off the Japanese eshop though where it's only 1500JPY or about £10.74. @denis09 US seems to report Thu to Wed, ie the day the download update is released until the next one. EU seems to report Mon to Sun, ie anything that will be releasing in that same calender week of the download update. I hope that makes sense. Where is the promised VOEZ demo for EU? It isn't on that download list or on the eshop yet. Might get another few 3D Sega games. You can only play the demo 15 times apparently. Am I one of few even remotely considering Minecraft Story? Last Telltale game I played was Sam and Max, and I am hoping to see how far they truly dropped (they seem like overbudgeted visual novels from an outside perspective). Not to mention I never played a single minute of Minecraft. So many discounts, with lots of good stuff! @Kiz3000 Sure, just is a little confusing when both posts are published same day. I have Pokemon Yellow but I'll finally get Red and Blue. 3D Out Run is my 3rd most played on 3DS. Since it sounded like they did confirm a lot more Telltale support for the Switch, I might pick up Minecraft Story mode. Since even though I played it on PC, I never got the DLC. I am going to buy every 3D Sega game you gave a score of above. Otherwise I could just buy them all, except altered beast. That sucked back in the day, I don't see why that would change. I'll get some Sega 3D classics but nothing else is really interesting. I'm a long time pokemon-fan and have almost all the main series games physical. But still I find (even after the discount) that the price is a bit much for the first gen. I think Nintendo should give the first three for free like one day when ultra-sun/moon is released. Just to celebrate. Or maybe include a free download code with the games. Gold and silver I MIGHT buy for 3DS. But hey I got the HH & SS and they still play with the 3DS too so..
@molliolli182 The fact they charged twice as much money for Pokemon compared to other Gameboy games made me eternally vexed at Nintendo. The fact this discount doesn't even cover 50% off is not gonna win me back.